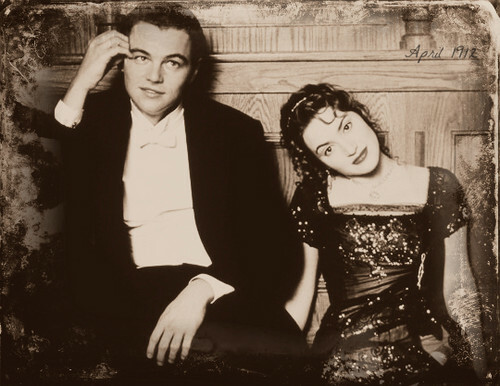 Jack & Rose - TITANIC. . Wallpaper and background images in the Titanic club tagged: titanic jack dawson rose dewitt bukater 1997 leonardo dicaprio kate winslet movie. This Titanic photo contains business suit, suit, suit ng mga damit, dress suit, full dress, tailcoat, buntot amerikana, tails, puting itali, and puti itali at tails. There might also be tatlong piraso suit, matumal suit, and toga.